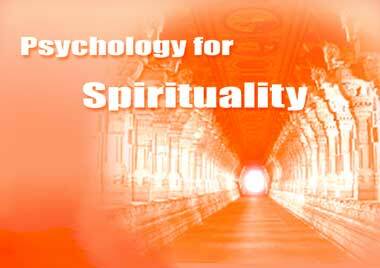 Mirravision Trust is formed with a professional group of psychologists, psychiatrists, social scientists along with spiritual sadhaks. The aim of the trust is to study, design and implement and encourage the implications of Sri Aurobindo's and the Mother's thought in the areas of psychology, mental health. Psychiatry, health and well-being, education and social sciences at large. The central aim of Mirravision is to bring into light Sri Aurobindo's and Mother's teachings to the professional world with a goal to implement it in academic as well as in applied fields. 1. To establish specialized clinics, community centers, hospitals for the public and community rehabilitation centers for the mentally ill and psychosocially maladjusted, physically handicapped, mentally challenged and drug- dependent subjects based on Integral perspective. 2. To promote, develop, run, and manage specialized community spaces for practical programs of personality development, psychological growth , integral health, and integral well-being based on psycho-spiritual space approach with special emphasis on mental health. 3. To integrate community / Ashram life based on psycho-spiritual spaces into psychotherapy, counseling, and psychopharmacology with special emphasis on mentally ill and mentally challenged. 4. To promote the concept of Integral well-Being based on the consciousness perspective of Sri Aurobindo's teaching and develop appropriate curriculum, research, training program, professional net-work and practicing fields for the purpose. 5. To promote the cause of Integral health including mental health based on the teachings of Sri Aurobindo and The Mother through research, action oriented strategies, social support system and liaison with other like-minded organizations/movements. 6. To help the aged, sick, helpless and indigent persons and set up special geriatric services based on dignity and values of living and dying.